Fork Tube - Set. Correct For Triumph Models Fitted With The Conical Hub From 1971-1972. 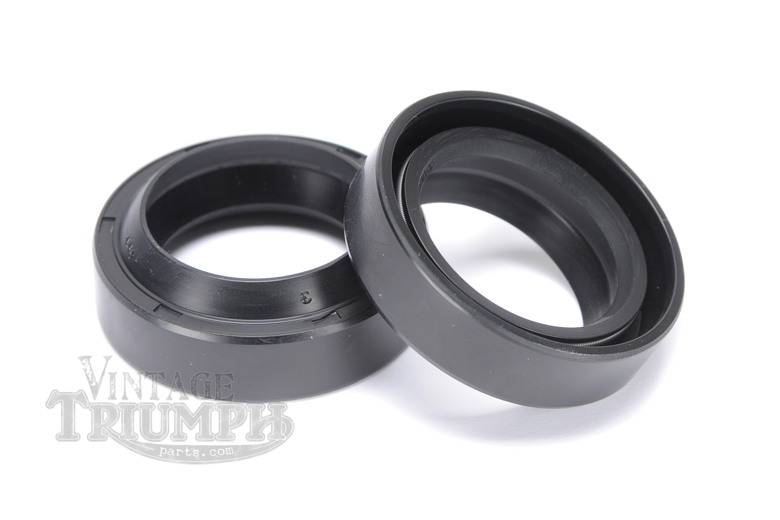 A pair of upgraded Fork Seals To Fit Triumph Models T100 Tiger 1971-1973, T100R Daytona 1971-1973, TR6 Trophy 1971-1972, T120 Bonneville 1971-1972, TR7 Trophy/ Tiger 1973-1983, T140 Bonneville 1973-1983.